EEK! It's "Wicked Craft Week" here on the bloggity-blog. That's right. I recently held some of my favorite crafty peeps hostage in hopes that they would share some of their wicked creativeness with us. 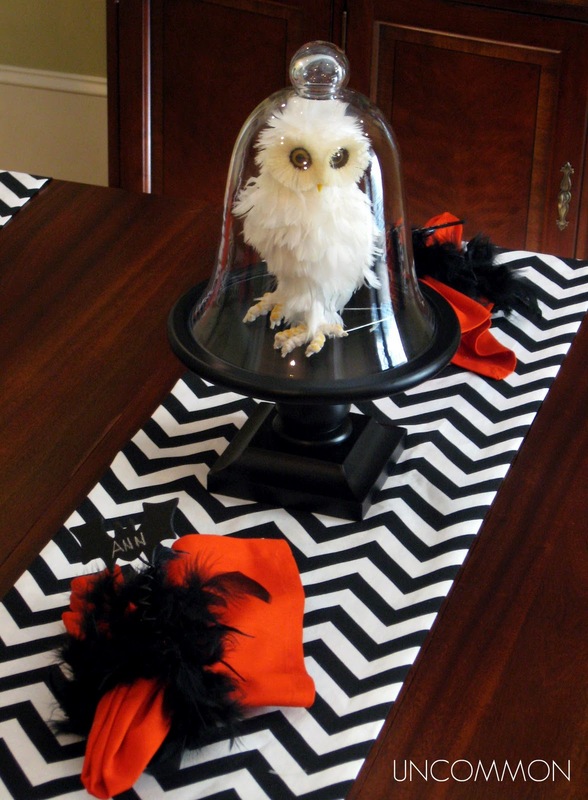 They agreed and because of their spooktacular talents we have one week full of some frightfully delightful Halloween inspiration! And here for the opening act is the crafting genius duo, sister-in-laws Bonnie & Trish. Trust me, there is never a dull moment with these gals. 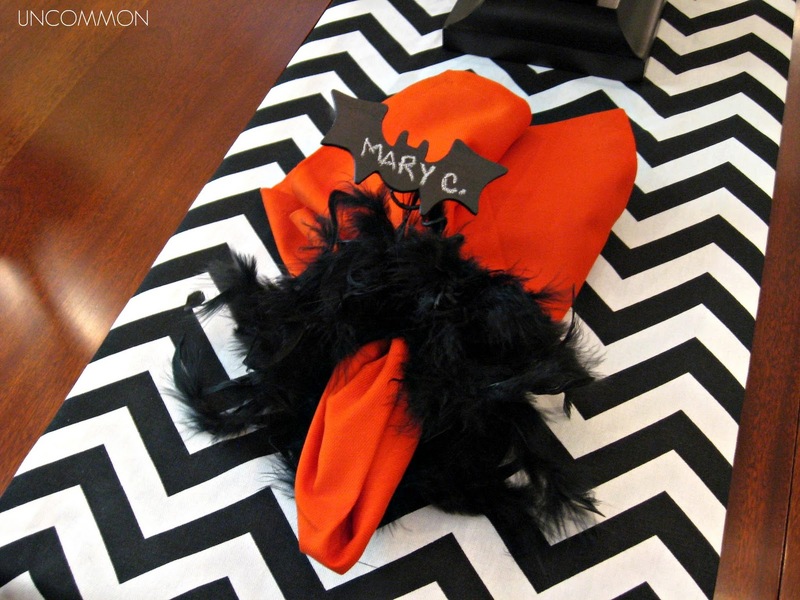 Their blog is FULL of fun and adorable projects. Hi Delightfully Noted Readers! 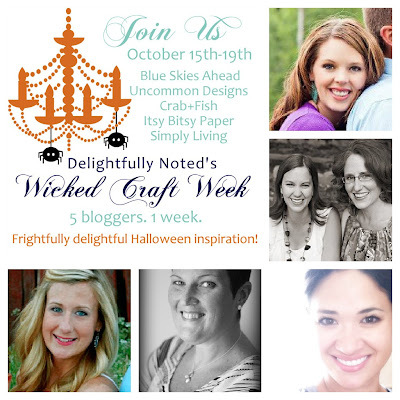 We are Bonnie and Trish from the craft blog, Uncommon Designs and we are just thrilled to be a part of Wicked Craft Week! 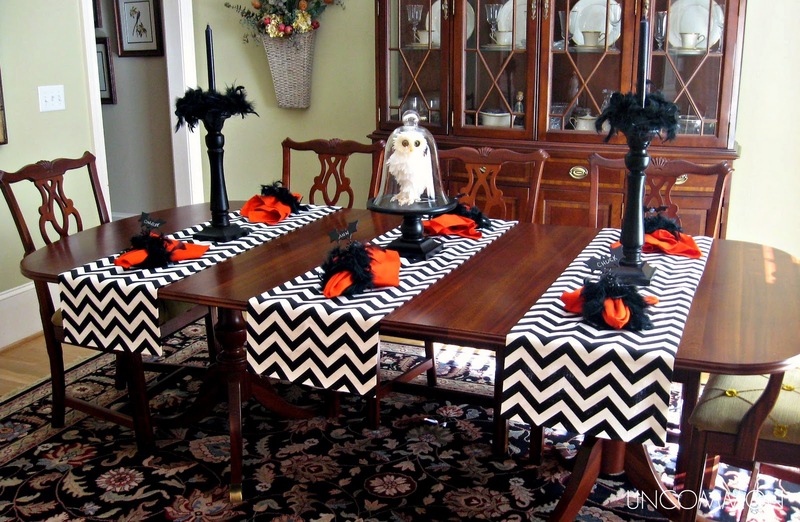 October is just flying by and Halloween will be here before we know it! 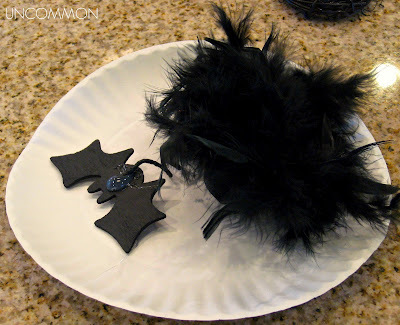 These are super easy and absolutely adorable! That's it!! Oh, except for your trusty glue gun!! 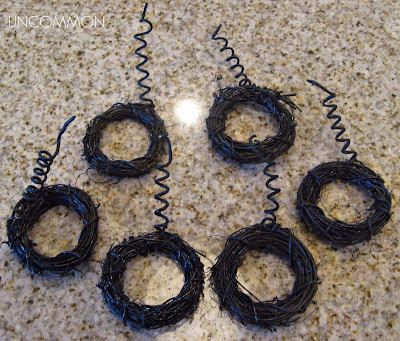 Attach the spiraled floral wire to the wreaths, by weaving it through and pinching it closed. Make sure the wire is where you want the "top" of the napkin ring to be! 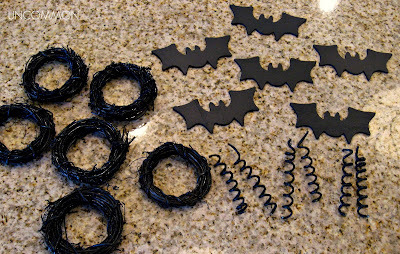 Flatten out the top portion of the wire where you are about to attach the bat! Finally, attach your bat to the floral wire with your trusty glue gun!! I know I use A LOT of glue...no judging !! So..here is what the final product looks like with and without a napkin in it!! place cards and your dinner party is all set!! Jennifer, Thanks so much for having us today! We would love for you to stop by and see us at Uncommon Designs! Happy Halloween! Thanks ladies! Super cute and of course I am just smitten with those chevron runners. 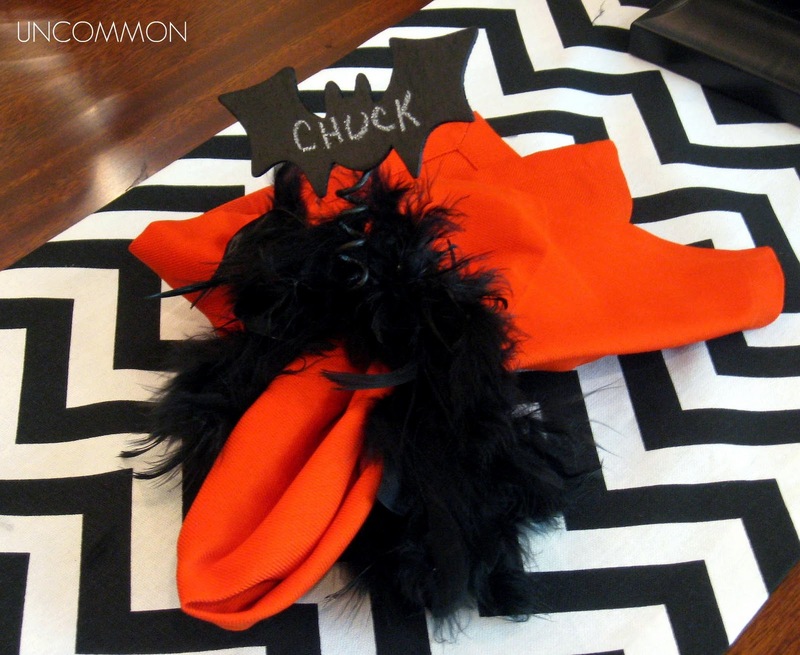 There's more boo-tastic projects coming your way so make sure to stop by tomorrow. These are ADORABLE! 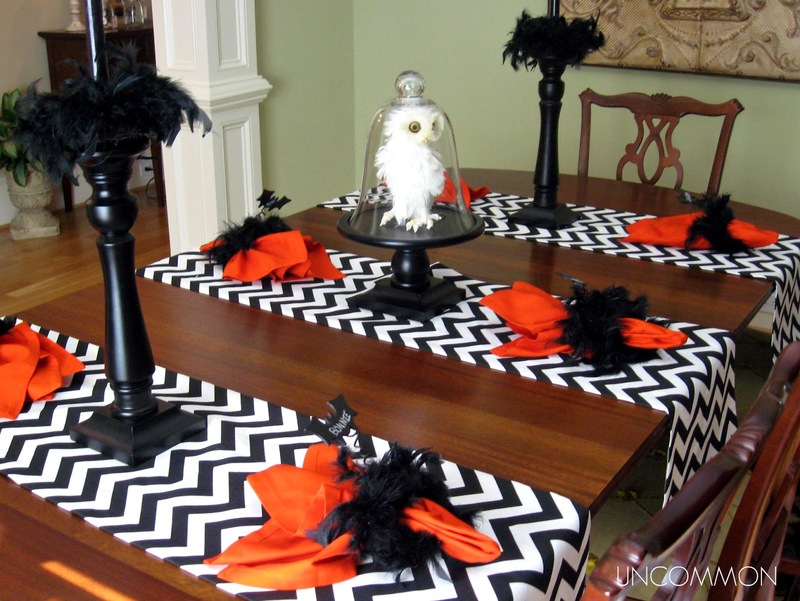 I am loving the table runners too. 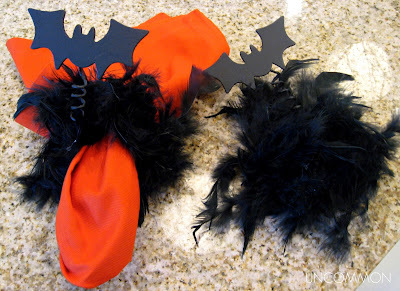 Great project idea--simple and sweet and very festive. so fun!! 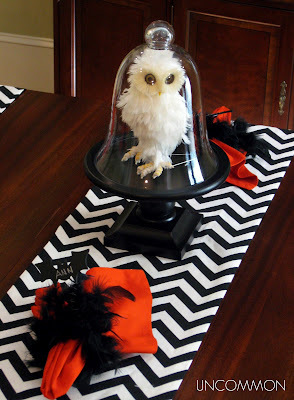 i love the table decorations too! I love that! So cute and easy! I want to have a Halloween party just so I can do that, lol! Oh so cute! 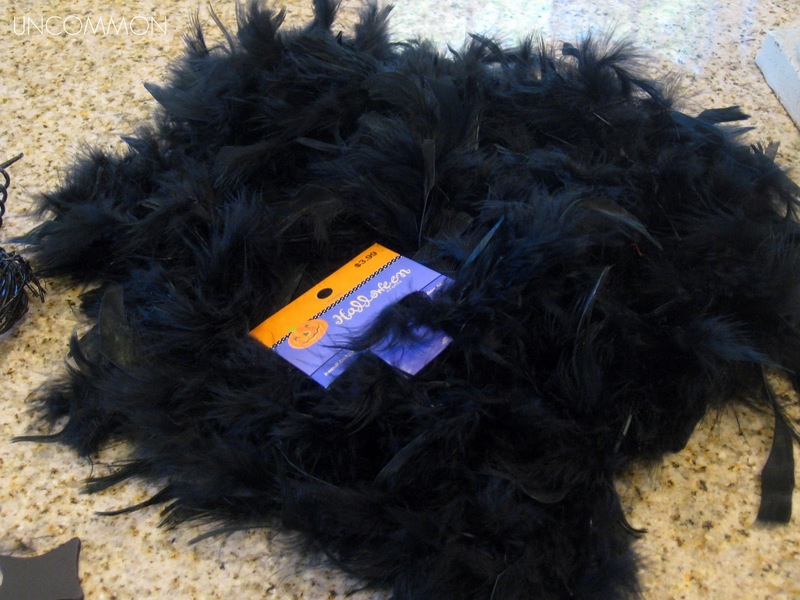 So excited for Halloween! Those are adorable! I want to go to that party!